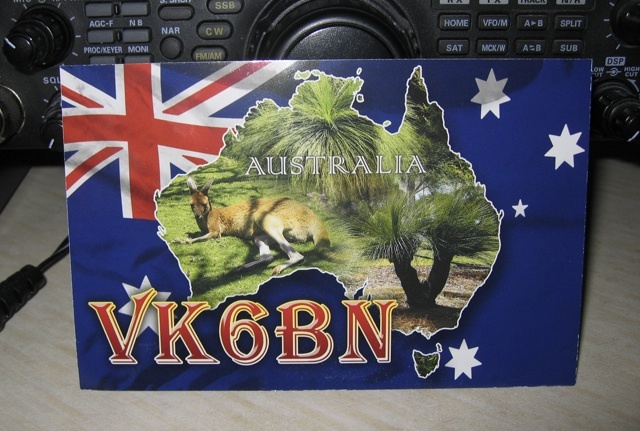 I like QSL cards. Electronic methods of confirming contacts are all very well and are a much more efficient method of QSLing but I much prefer to have a real physical QSL card in my hand. eQSL simulates that with graphical representations of cards but it’s not the same. I’ve just received a card from my first contact into that land down under, Australia and here it is. I’ve worked VK three more times since that contact but the first one will always be a bit special and that’s why I’m pleased to have received a card for it.